Have you ever BOOed someone at Halloween? This year we are SCARING our friends with monsters instead! We love doing simple acts of kindness for friends and family members that are creative and easy. We started off by making stick monsters. We cut out bodies from foam sheets. Then we added googly eyes and paper mouths using glue. Lastly we taped on a craft stick to the back on the monster. 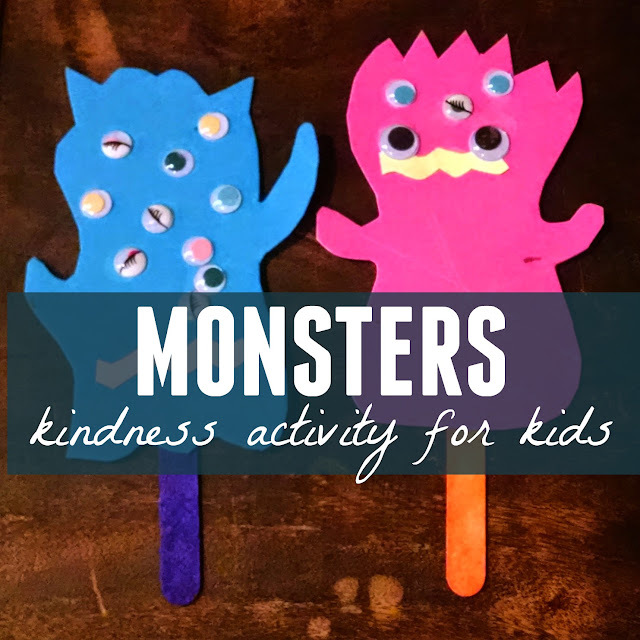 After we made the monsters, we secretly took several of them over to a friend's house and stuck them all over the front lawn. Then we left a plate of treats on the doorstep and a note telling them "We SCARED you! Happy Halloween! " The note also told them to go and try and scare another friend and secretly leave a treat too! I love finding ways to embed acts of kindness into holidays. This is really a simple idea but such a nice and thoughtful one! We love BOOing people so thought that this would be a fun twist on that tradition. 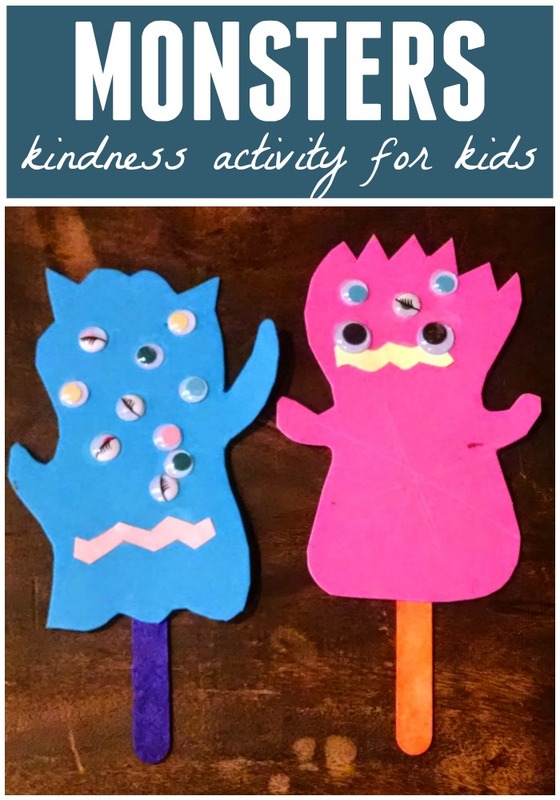 My kids loved making silly monsters to use! Have you done any simple Halloween acts of kindness this year? We'd love to hear about them! You can find many more ideas for doing acts of kindness over on our 100 Acts of Kindness pinterest board. If you missed any of our Monster Week activities, click on the links below!